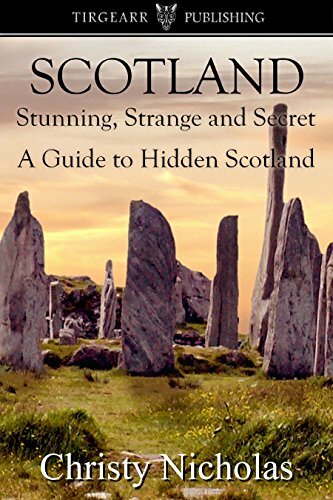 about this book: Scotland is a mystical land full of wonderful food, people, and stunning landscapes, along with a great many mysteries. I've done the research and found the ways to plan your own trip, without being a slave to the tour guide. My book has some myth and history, tips and tricks, hidden places, and some off-the-beaten path suggestions. I will tell you how to buy a round at the pub, how to handle car insurance (your credit card might have a limit on the car value that makes rental car insurance invalid! ), how to get pounds ahead of time. I have many photographs of the beautiful scenery, photographs that I have taken on my various trips. I even give photography tips for you to take your own. I discuss the music and people of Scotland, and include a list of music venues, as well as a listing of some of the more colorful local food options. So, come travel to the land of Braveheart and Outlander, the land of Rob Roy and Gerard Butler. Och, Aye, come to Scotland and have a wee dram!